I hadn't been since last year but when the Pres suggested that I go kayaking last Thursday, I couldn't get my stuff together fast enough! Immediately sending a pic to the Pres, my daughter and son, they knew it meant "I made it...this is where I am." Posting a similar pic on FB, I received notification that my son had left a comment, which went something like, " Mom, be sure you wash that thing before putting it in the new car." Reading his comment made me chuckle and respond, "Goob, that is before I set sail. That is called water rash." However, the next day I began thinking about what I'd learned when I took kayak lessons. Did you know that a clean kayak is a healthy kayak? Cleaning it helps prevent the spread of algae from one body of water to another...algae that has infiltrated many lakes and rivers. Hello, I have seen signs about the reason for the wash around here. I love the last shot with the lake, it is a pretty spot to go kayaking! I hope you had a fun time! Enjoy your day! 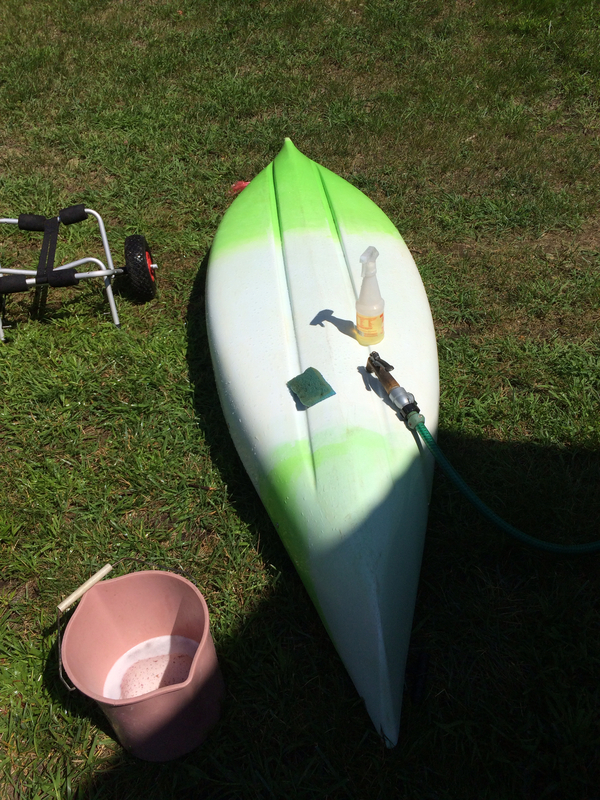 Kudos for keeping your kayak clean! I miss our kayaks....Dagger Apostle, Dagger Magellan. What a wonderful lakeview. There is a good reason to wash and keep kayaks clean. Happy kayaking! Few things are as relaxing as kayaking on a summer day. JP, You got the kayak out! I'm sure you had a great paddle. 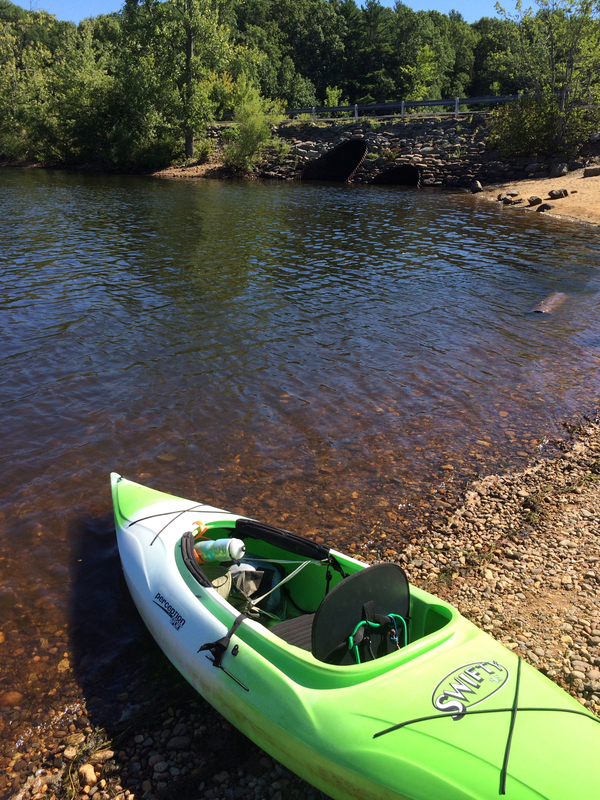 A clean kayak is a happy thing for all. Sylvia D.